The High Court on Wednesday extended the bail of BNP Chairperson Khaleda Zia until July 26 in the Zia Orphanage Trust graft case. An HC bench of Justice M Enayetur Rahim and Justice Md Mostafizur Rahman passed the order following a petition filed by Khaleda’s lawyers. The court also adjourned the hearing until Sunday on the review petition filed by the BNP chief against a lower court verdict sentencing her to five years' imprisonment in the graft case. Khaleda’s lawyers read out the depositions of eight prosecution witnesses before the bench. Earlier on July 5, a petition was filed with the High Court seeking extension of its earlier order granting four-month interim bail to Khaleda Zia in the Zia Orphanage Trust graft case. 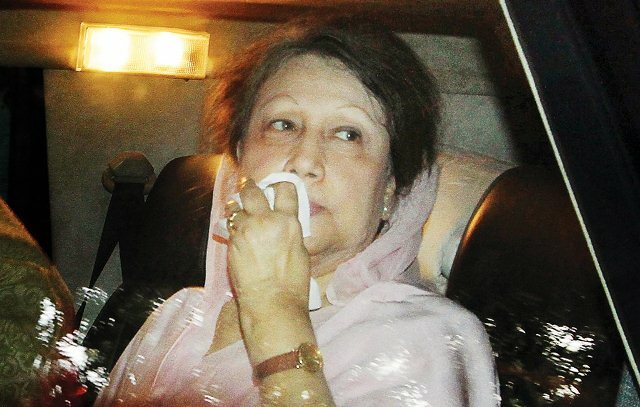 On March 12, the HC granted four-month bail to Khaleda in the case which expired on July 12.